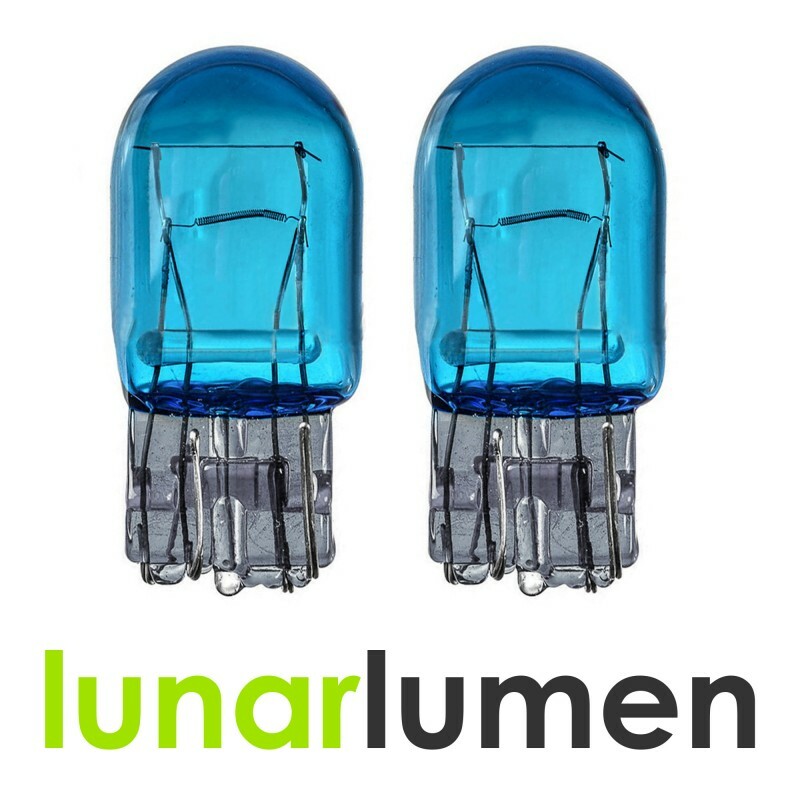 2 x Lunar Lumen T20 Super White 5000K wedge bulbs. These are high quality and made of natural glass. Perfect upgrade to your existing bulbs (DRL, Sidelights) with super white color approx. 5000K. Bulb type: Wedge type: 7443, T20, 580 W21/5W. Socket version: W3×16Q Dual filament. Durability: Long life expected more than 25,000 hours+. Mostly used for Daytime Running Lights (DRL) and Sidelights. Fiat 500 and 500C 2007, 2008, 2009, 2010, 2011, 2012, 2013, 2014, 2015, 2016. Fiat Abarth 2007, 2008, 2009, 2010, 2011, 2012, 2013, 2014, 2016. Fiat Evo Punto 2009, 2010, 2011, 2012. Alfa Romeo Mito 2008, 2009, 2010, 2011, 2012, 2013, 2014, 2016. Vauxhall / Opel Insignia 2008, 2009, 2010, 2011, 2012, 2013. Vauxhall / Opel Corsa D MK3 3 2006, 2007, 2008, 2009, 2010, 2011, 2012, 2013, 2014. Vauxhall / Opel Astra J Mk6 2009, 2010, 2011, 2012, 2013, 2014. Vauxhall / Opel Mokka 2012, 2013, 2014, 2015, 2016. Vauxhall / Opel Zafira MK3 C 2011, 2012, 2013, 2014, 2015, 2016. Vauxhall / Opel Meriva MK2 B 2010, 2011, 2012, 2013, 2014, 2015, 2016. Skoda Citigo 2011, 2012, 2013, 2014, 2015. Seat Mii 2011, 2012, 2013, 2014, 2015 VW UP 2011, 2012, 2013, 2014, 2015. Mercedes Benz Sprinter Van 2014, 2015, 2016. These bulbs can be used in all vehicles that use 7443 also known as W21/5W type bulbs.